Victims of workplace discrimination have protections under the law. You can receive back pay, damages, and other financial remedies from your employer. Filing a discrimination claim at the federal, state, or local level helps victims of discrimination recover money from their employer. The process may seem complicated, but a New York discrimination lawyer can help. The first step in filing a claim for discrimination is choosing where to file. You can file a complaint with the U.S. Equal Employment Opportunity Commission (EEOC), which handles violations of federal law. The New York State Division of Human Rights handles NYSHRL violations, and the New York City Commission on Human Rights is responsible for CHRL violations. If your claim falls under multiple laws, you can use the agencies’ “work-sharing agreement.” This means they cooperate with each other to process your claims. There is no need to file a separate claim with each agency. You just need to indicate that you want your claim “cross-filed” with the other agencies. You can also contact a New York discrimination lawyer for help. The EEOC handles violations of federal law for employers with more than 15 employees. If you believe your employer has discriminated against you, you can contact the EEOC. Counselors at the EEOC can discuss your legal rights, whether you choose to file a claim or not. If you decide to file with the EEOC, you have only 180 days from the date of the discriminatory activity. However, the deadline extends to 300 days if you cross-file with a state or local agency. The EEOC’s website offers instructions on how to file a complaint. You must file your discrimination claim with the EEOC before you can file a complaint in federal court. This is called exhausting your remedies. Once you file a charge, the EEOC may ask you to settle your dispute through mediation. Mediation is an informal and confidential way to resolve the situation with the help of a neutral person. The mediator is not a judge and has no power to order either side to do anything. However, you do not have to agree to mediation. If mediation is unsuccessful, or if the case is not sent to mediation, the EEOC will begin an investigation into your case. The EEOC will give you a “Notice of Right to Sue” letter if the investigation does not find that your employer violated the law. This letter gives you permission to file a lawsuit in a court of law. If the investigation does find that your employer violated the law, the EEOC may try to settle with your employer. The EEOC’s legal team will determine whether the EEOC should file a lawsuit if a settlement cannot be reached. If the EEOC decides not to file a lawsuit, it will issue you a “Notice of Right to Sue,” so you can bring your own lawsuit. An EEOC investigation can be a lengthy process. If more than 180 days have passed since you filed your charge, you can ask the EEOC for a “Notice of Right to Sue.” The EEOC must provide the notice if they cannot finish the investigation within 180 days. Once the EEOC gives you a “Notice of Right to Sue,” the EEOC will close your case and take no further action. Under some circumstances, you can ask for a “Notice of Right to Sue” before the EEOC has finished investigating your claim, even before the 180 days have passed. Once you receive a “Notice of Right to Sue” under any of those scenarios, you must file your lawsuit within 90 days. Learn more about how to file an EEOC complaint. If your employer has more than 4 employees, you can file a claim with the New York State Division of Human Rights. However, if you chose to file with this agency, you give up your right to file those claims in court. You have one year after the discriminatory activity to file your claim with the agency. However, if your claim also includes Title VII claims, you only have 240 days. The agency will investigate your claim. They may find evidence that unlawful discrimination, harassment, or retaliation has occurred. In this case, the agency will call a public hearing before an administrative law judge. The administrative law judge has the power to make a decision regarding your claim. The judge can also enforce that decision. Unlike with Title VII claims, you do not need to file a claim with the New York State Division of Human Rights before taking a NYSHRL violation to court. If you choose not to file with the agency, you have 3 years from the date of the discriminatory conduct to file your complaint in state court. If your employer has more than 4 employees, you can file a claim with the New York City Commission on Human Rights. However, if you chose to file with this agency, you give up your right to file those claims in court. Unlike with Title VII claims, you do not need to file a claim with the New York City Commission Human Rights before taking a violation to court. If you choose not to file with the agency, you have 3 years from the date of the discriminatory conduct to file your complaint in state court. Victims of discrimination can recover damages, back pay, and fines from their employer. A New York discrimination lawyer can help pursue your legal remedies. Attorneys’ Fees and Costs: If you win, your employer must pay your attorney for their work on your case. This includes expert witness fees and court costs. Navigating the claims process can be challenging, and many people feel overwhelmed by the process. 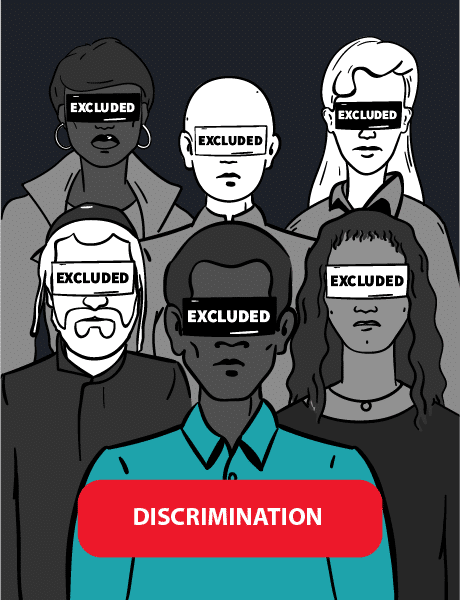 Contact a New York discrimination lawyer for help with your discrimination claim.